Humans are social animals. So social that we can rarely be independent of others because of our propensity for copying behaviour and communication – also known as social learning. Humans copy each other every day. You might buy the latest trainers because they're really popular, even though you have no idea how good quality they are. And then you might share that information, perhaps posting a review on social media. This can induce "smarter" purchasing decisions because usually, if a product is popular, it seems less likely it would be of be poor quality. So sometimes social learning can improve our decision making. Our social learning ability has led to extraordinary technological success. Advances in modern science and technology, from the smart phone to the Higgs Boson particle, have been made possible not only by genius innovation, but by humans' ability to learn from others. So social learning is seen as a source of collective intelligence – smart decision making among groups of individuals that improves on the ability of one single person. This can be useful in areas such as management, product development and predicting elections. However, the opposite can also be true. Crowds can also suffer from collective "madness", when ineffective or harmful knowledge goes viral due to copying – a phenomenon called maladaptive herding – which can trigger things like instability in stock markets. Why do groups of humans sometimes exhibit collective wisdom and at other times madness? Can we reduce the risk of maladaptive herding and at the same time increase the possibility of collective wisdom? Understanding this apparent conflict has been a longstanding problem in social science. The key to this puzzle could be the way that individuals use information from others versus information gained from their own trial-and-error problem solving. If people simply copy others without reference to their own experience, any idea – even a bad one – can spread. So how can social learning improve our decision making? Striking the right balance between copying others and relying on personal experience is key. Yet we still need to know exactly what the right balance is. Humans are not the only animals to display collective intelligence. Bees are also well known for their ability to make accurate collective decisions when they search for foods or new nests. What's more, bees can avoid maladaptive herding. 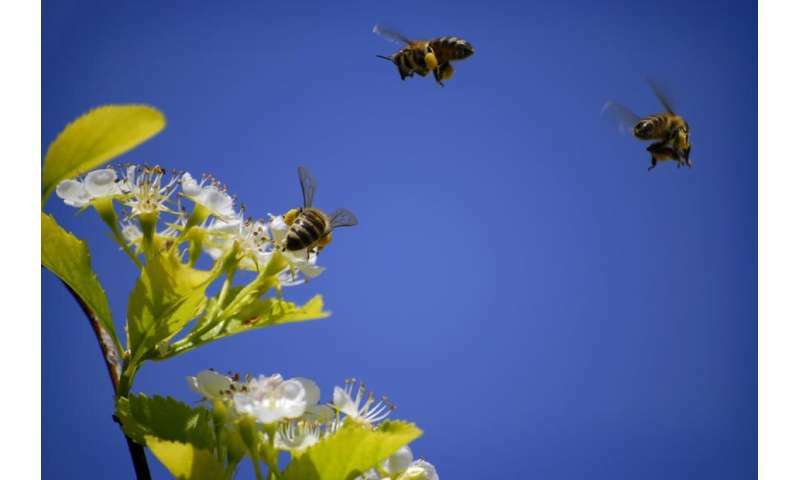 Bees prevent bad information from becoming viral, although they copy each other through communication and social learning. But how do they do it? In the early 20th century, Austrian behavioural biologist Karl von Frisch found that worker honey bees use a kind of "waggle dance" for communicating with each other. In short, these waggle dances are bee versions of online shopping rating systems. Instead of stars or good reviews, bee ratings are based on the duration of the dance. When a bee finds a good source of food, it dances for a long time. When it finds a poor one, the duration of the dance is short or non-existent. The longer the dance, the more bees follow its suggestion to feed there. Researchers have demonstrated that bee colonies will switch their efforts to a more abundant site, even after foraging is already well underway elsewhere, thus preventing maladaptive herding. Collective flexibility is key. The question is, why can't human crowds be flexible like bees, especially when both have a similar social information sharing system? To examine this, we developed a mathematical model that was inspired by collective honey bee foraging behaviour. Two key factors were identified for study: conformity – that is, the extent to which an individual follows the majority opinion; and copying tendency – the extent to which an individual ignores their own personal knowledge and relies solely on following others. 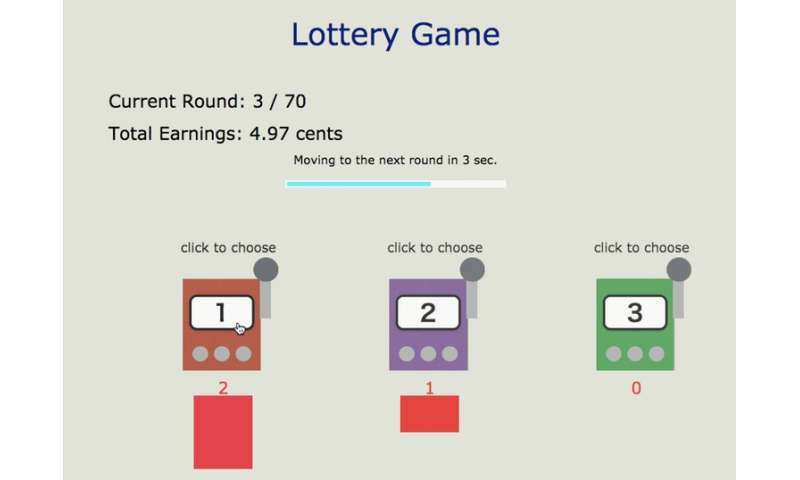 We launched a simple online game as a psychology experiment. Participants had to repeatedly choose one of three slot machines. One slot could drop more money than the others, but players didn't know which one at the outset. The mission was to identify the best slot and win as much money as possible. Because many people participated in the same experiment, players could see what other participants were doing in real time. Then they could copy or ignore the choices of the others. The results revealed that a challenging task elicited greater conformity and the copying increased with group size. This suggests that unlike bees, when large groups are confronted with tough challenges, collective decision-making becomes inflexible, and maladaptive herding behaviour is prominent. The popular slot got more popular because people followed the majority choice, even if it was not actually the winning one. The study also showed that humans in groups can be flexible, like bees, when either conformity or copying was low. Players were able to switch to a new and better option when the group size was small or a less challenging version of the task was undertaken. Thanks to the low conformity, there were people willing to explore less popular options, who could eventually find the best one as opposed to the one most chosen. Our results suggest that we should be more aware of the risk of maladaptive herding when these conditions – large group size and a difficult problem – prevail. We should take account of not just the most popular opinion, but also other minority opinions. In thinking this way, the crowd can avoid maladaptive herding behaviour. This research could inform how collective intelligence is applied to real-world situations, including online shopping and prediction markets. Stimulating independent thought in individuals may reduce the risk of collective madness. Dividing a group into sub-groups or breaking down a task into small easy steps promotes flexible, yet smart, human "swarm" intelligence. There is much we can learn from the humble bee.